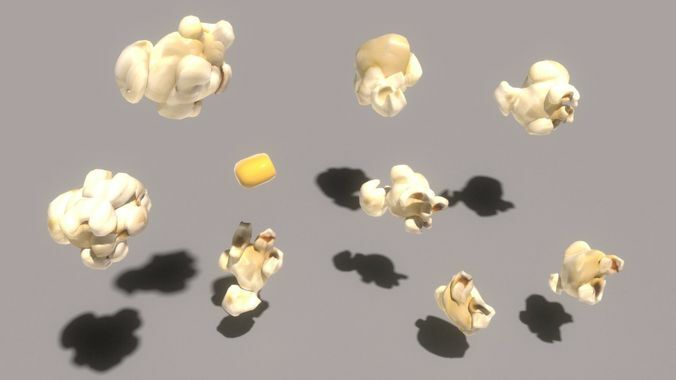 Popcorns were built in 3D Studio Max 2016 with Vray 3.60.03 and a basic setup is included in the scene. They are low-poly and subdivision ready, ideal for popcorn simulations. A quick render sequence is also included.